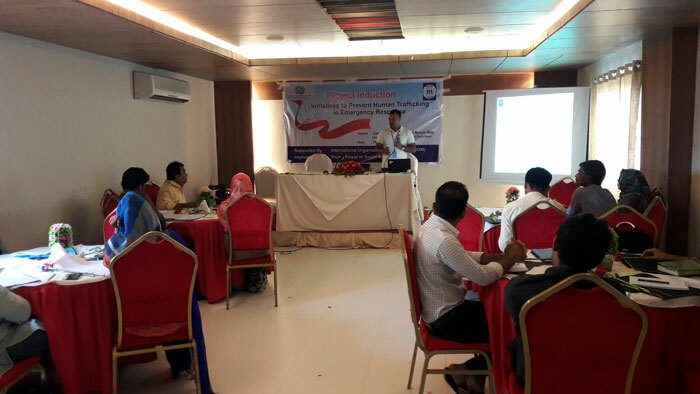 YPSA organized an induction workshop of a project titled “Initiatives to Prevent Human Trafficking in Emergency Response” at Hotel Beach Way, Kolatoli, Cox’s Bazar on Sunday, June 10, 2018. 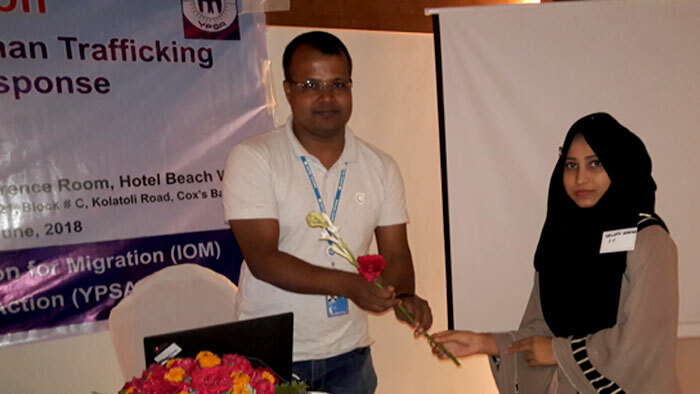 Notably, the project is supported by IOM and implemented by YPSA in Ukhia and Teknaf under Cox’s Bazar district. The program was attended by newly recruited project staffs and management of YPSA and a team of five representatives led by Ms. Emmy Nurmila, Project Assistant II, Counter-Trafficking of International Organization from Migration (IOM). 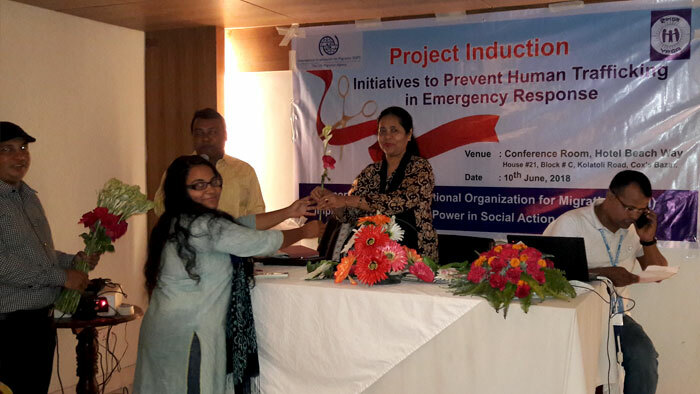 Ms. Khaleda Begum, Team Leader, YPSA-Cox’s Bazar presided over the program while Mr. Jishu Barua, Project Coordinator of the project anchored the ceremony. At the onset of the program, Ms. Emmy Nurmila and Ms. Khaleda Begum gave welcome speeches on behalf their respective organizations. Mr. Jishu Barua briefly gave an overview of the project. Mr. Mykal Mondol, National Protection Officer-CT of IOM made an informative PowerPoint presentation on overall project including project objectives, project structure, the activities and implementation strategies, the targeted beneficiaries, project implementation plan, mandatory rules to be obeyed, coordination, reporting and related information, working areas, and the expectation of the partner organization (IOM) to the team. The presentation was followed by an open discussion in which YPSA team and IOM team participated spontaneously.